Thank you for your generous donation to Horse’n Around Rescue! We truly appreciate your support as do the many horses, mules and donkeys in our care. 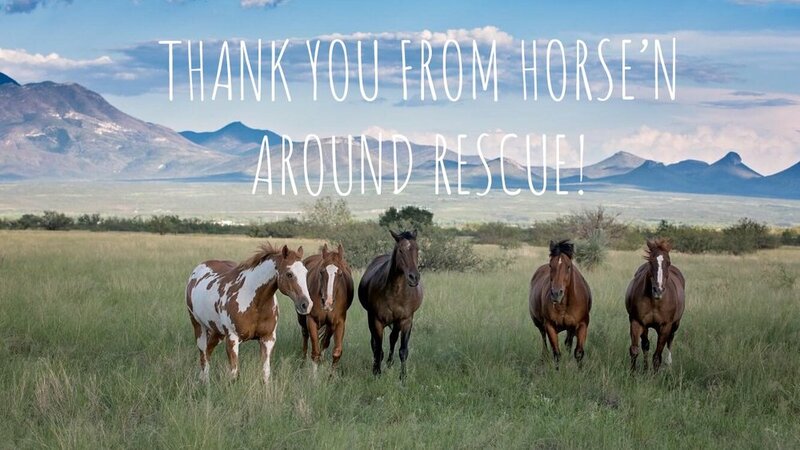 Without you, there would be no Horse’n Around Rescue to care for these magnificent creatures.